Prisync is a fully-automated e-commerce pricing analytics software for all sizes of companies from all around the world. Without any need for a setup or an integration, your Prisync account is ready to use for an in-depth pricing analysis. Our e-commerce pricing analytics solution provides you fresh pricing data points, gathered multiple times a day. 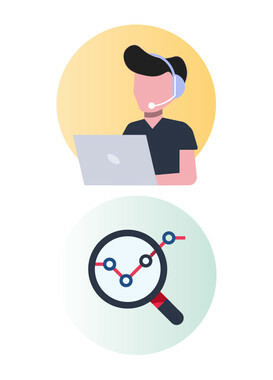 We strive to deliver the maximum ROI for all our customers and our hard-working, top-rated Customer Support team is ready to help you 7/24 to make sure that nothing remains unanswered or unclear for you. We are accountable for the data that we provide. Companies of various sizes across the world trust us and rely on our always fresh and accurate e-commerce pricing analytics data to define their pricing stragies or make other key decisions within their businesses. The value we provide with our E-Commerce Pricing Analytics software can be enterprise-grade, but our pay-as-you-go monthly plans are designed to cater the needs and expectations of all companies in the range of small ecommerce startups to Fortune 500 giants. 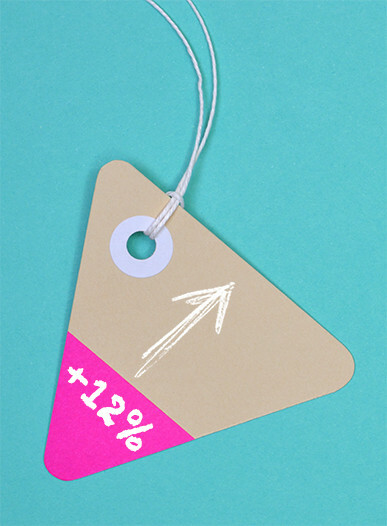 E-Commerce Pricing Analytics can become your secret growth weapon. Data-driven execution is key to success in today's crowded and dynamic e-commerce market. As pricing is a major part of the puzzle, having access to a powerful E-Commerce Pricing Analytics solution is a must for all sizes of e-commerce companies in any industry.  Try Prisync for free for 14 days now! You have the full control over the list of the products and an unlimited number of competitors to be monitored and analysed in your Prisync account. As a first step you import the list of these products and competitors from the dashboard. Prisync retrieves the pricing and stock availability information for all the products and competitors you've inputted and demonstrates all these data-points in its web dashboard to power its e-commerce pricing analytics software. With all the fresh market data in hand, the rest is about using this pricing analytics power to spot correlations between pricing trends and your e-commerce performance and applying competitive smart pricing with Prisync's Dynamic Pricing module. Trusted by companies of all sizes from all around the world! Here are just a few of 10s of lovely testimonials we had from our users. More more reviews on Prisync, check out here to see how we top the Pricing Optimization market in Capterra by Gartner. What does E-Commerce Pricing Analytics mean for a company? For an e-commerce company with an assortment of 100s of products and 10s of competitors, the market data consisting of all the competitor price-points is not suitable for manual analysis. E-Commerce Pricing Analytics is an automated technology that gathers all the competitor pricing information for the whole competitive assortment, and provides actionable and strategic insights from that data. Is E-Commerce Pricing Analytics necessary for my company? If you're dealing with a price-sensitive customer base, then yes. Even a slight price optimization can bring in massive results in e-commerce. To achieve that, an e-commerce company must be able to analyze its prices vs. the competition and E-Commerce Pricing Analytics can help companies to fully automate and scale that for their whole assortment and competitive landscape with minimum effort. What's unique about Prisync's E-Commerce Pricing Analytics? Unlike many other market research and analytics services in the market, Prisync requires no technical integrations or configurations to offer a fully automated analytics solution. Our users can start enjoying the value we provide in few minutes with the power of full automation. Additionally, Prisync gives its users the total control over what they want to analyze vs. an unlimited number of competitors they pick and define. Would Prisync's E-Commerce Pricing Analytics work in my country or industry? Yes, because our E-Commerce Pricing Analytics works on-demand and flexibly fulfils the needs of any e-commerce company in any market vertical or country. You simply define your own competitive product assortment regardless of a certain coverage or database, and similary you pick your own competitive landscape by listing down any competitor website you want to benchmark againts and analyze. I am not a technical person. Is E-Commerce Pricing Analytics by Prisync hard to learn and use for me? Not at all! Majority of our users are parts of sales, marketing, purchasing or finance departments of their companies and they find Prisync quite easy to use as it requires no technical integration or setup. It's a fully self-service solution where the user can input their products and competitors from its web dashboard and can view and analyze all the data again from the very same dashboard. We do also have comprehensive video tutorials and a 7/24 live chat support to help you out anytime you need. Is there a free demo or a free trial period to test Prisync before starting with one of the paid plans? Yes! We have a 14-day free trial where our users can try any of our monthly plans with no limitations. It's the exact same experience you'll get when you start a monthly subscription, so no restrictions or unlocked features within the trial period. 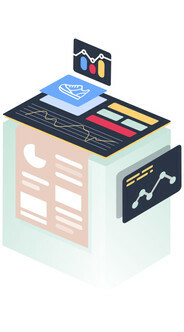 You can test and evaluate Prisync's complete E-Commerce Pricing Analytics Software for free for 14 days. After that, you can pick one of our monthly plans and simply pay-as-you-go and can cancel/downgrade/upgrade your monthly subscription at any time without any penalties or hidden costs etc. 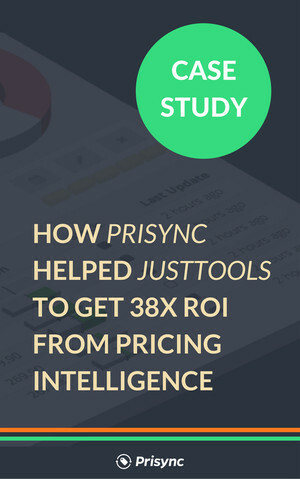 Discover how Prisync's E-Commerce Pricing Analytics helped Justtools.com.au to boost their pricing performance and yielded a solid 38x ROI.